That’s certainly the case for the Tesla alternative last winter to a costly, time-consuming, and reputation-staining recall (dunno: I must have been hiding under a rock at the time to have not heard about it). I’d have to agree it was. Think of it: because Tesla has basically converted cars into computers with four wheels, modifying key parts by building in sensors and two-way communications, it has also fundamentally changed its relationship with customers: it can remain in constant contact with them, rather than losing contact between the time the customer drives off the lot and when the customer remembers (hopefully..) to schedule a service appointment, and many modifications that used to require costly and hard-to-install replacement parts now are done with a few lines of code! Not only can Tesla streamline recalls, but it can even enhance the customer experience after the car is bought: I remember reading somewhere that car companies may start offering customer choice on engine performance: it could offer various software configurations to maximize performance or to maximize fuel savings — and continue to tweak those settings in the future, just as computers get updated operating systems. That’s much like the transformation of many other IoT-enhanced products into services, where the customer may willingly pay more over a long term for a not just a hunk of metal, but also a continuing data stream that will help optimize efficiency and reduce operating costs. Sustainable value – The real challenge for the ‘consumer-facing’ Internet of Things is that applications will always be fighting for a tightly squeezed share of disposable consumer income. The value proposition must provide tangible worth over time. For Tesla, the prospect of getting one’s vehicle fixed without ‘taking it to the shop’ is instantly meaningful for the would-be buyer – and the differentiator only becomes stronger over time as proud new Tesla owners laugh while their friends must continue heading to the dealer to iron out typical bug fixes for a new car. In other words, there is immediate monetary value and technology expands brand differentiation. As for Tesla dealers, they must be delighted to avoid having to make such needling repairs to irritated customers – they can merely enjoy the positive PR halo effect that a paradigm changing event like this creates for the brand – and therefore their businesses. 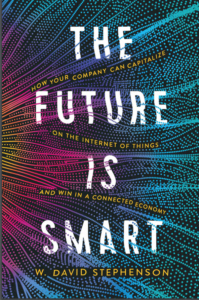 That’s why I’m convinced that Internet of Things technologies such as sensors and tiny radios may be the easy part of the revolution: the hard part is going to be fundamental management changes that require new thinking and new questions. What can you do now that you couldn’t do before?? “by installing the sensors and monitoring them all the time (typically, only the exceptions to the norm would be reported, to reduce data processing and required attention to the data) the company would be able to optimize production and distribution all the time (see my piece on ‘precision manufacturing’). repair costs would be lower: “predictive maintenance” based on real-time information on equipment’s status is cheaper than emergency repairs. the public interest would be protected, because many situations that have resulted in disasters in the past would instead be avoided, or at least minimized.